And I’m still waiting for that phone call from King Mob. The “23 Enigma” refers to the belief that all incidents and events are directly connected to the number 23, some permutation of the number 23, or a number related to the number 23, given enough ingenuity on the part of the interpreter.Unusual circumstances being linked to 23 are mentioned by William S. Burroughs. He tells the story of meeting a ferry captain named Clark who claimed to have sailed the same route without an accident for 23 years. That very day, however, the ferry sank, killing all aboard. Later that day, Burroughs writes, he was thinking about Clark’s ferry accident when he heard that a Flight 23 on a New York-Miami route had crashed. According to Burroughs, the pilot’s name for the flight had also been Clark. Burroughs began collecting incidences of the number 23 in a scrapbook and referred to them in his writings. 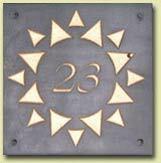 For more info on the 23 enigma check out the following wiki. The drugs Ecstasy and LSD should be downgraded from Class A to Class B, according to a scientist who advises the Government on drugs law. Professor David Nutt, chairman of the technical committee of the Advisory Council on the Misuse of Drugs ( ACMD ), said that Ecstasy’s presence in the same category as heroin and cocaine was an anomaly that should change. He told MPs yesterday: “I think MDA, LSD and Ecstasy problems shouldn’t be Class A.” MDA, also known as the love drug or the hug drug, is a mind-altering drug similar to Ecstasy. Mr Nutt said, however, that there was a possibility that barbiturates could move up to the Class A category. Professor Sir Michael Rawlins, the chairman of the ACMD, confirmed that a review of Ecstasy’s legal status was under way. It would include a close look at whether more could be done to reduce the harmful effects of the dance drug, which is taken by an estimated 500,000 people a week. Vernon Coaker, the Drugs Minister, told the all-party Science and Technology Committee that the Government would examine any recommendations from the ACMD. He refused, however, to guarantee that he would act on any suggested reclassification. What do you get when you mix a government encrouching on civil liberties, biblical tales, psychoactive blue bubbly liquid, psychology, technology, media hacking, and more? Douglas Rushkoff’s Testament! And the first issue is free online. Rushkoff sets two story lines going here. In one, the draft has been reinstated in a near-future U.S., and potential draftees are implanted with chips that make their whereabouts traceable and allow the government to compel compliance. The other consists of three episodes in the story of Abraham: the near-sacrifice of Isaac, the destruction of Sodom and Gomorrah, and the battle that Abraham leads to free his nephew, Lot (in Genesis, however, the battle precedes Sodom and Gomorrah). The two plots develop in tandem, with characters in one corresponding to those in the other, and the cosmic conflict between Jehovah and the combined forces of Astarte and Moloch framing both. The Isaac counterpart, grown to hunky young manhood, stars in the modern story, thereby allowing several steamy encounters with the young female characters. Well composed and drawn by Sharp, and gorgeously full colored, the whole thing is like nothing so much as Cecil B. DeMille’s first Ten Commandments (1923), with its sin, skin, liminal piety, and double plot. Also, check out Douglas Rushkoff’s discussion with Daniel Pinchbeck here. I am aware of the recent lack of content on this blog. I could offer numerous excuses, yet this one is most true – I have currently run out of creative energy that I would like to share with the outside world. I am certain that I will start writing again as soon as I have more time and less duties to satisfy. As far as I am aware the Monochromatic Knight is in a similar position and is over-burdened with his studies and personal life. Do not blame us for not having time to write – we are only human and have other priorities in our lives. In the meantime enjoy all the wonderful articles we have written over the months and check from time to time for new content – it is coming.